Chances of close encounters between Florida manatees and boaters increase in the spring. For manatees, it is the season when they leave their winter refuges and travel along the Atlantic and Gulf coasts and through inland waters. For boaters, it is a critical time to be on the lookout for manatees to avoid colliding with these large aquatic mammals. “Spring is a great time to go boating in Florida, but manatees are out there too. Please watch out for them,” said Ron Mezich, who heads the Florida Fish and Wildlife Conservation Commission (FWC) manatee management program. 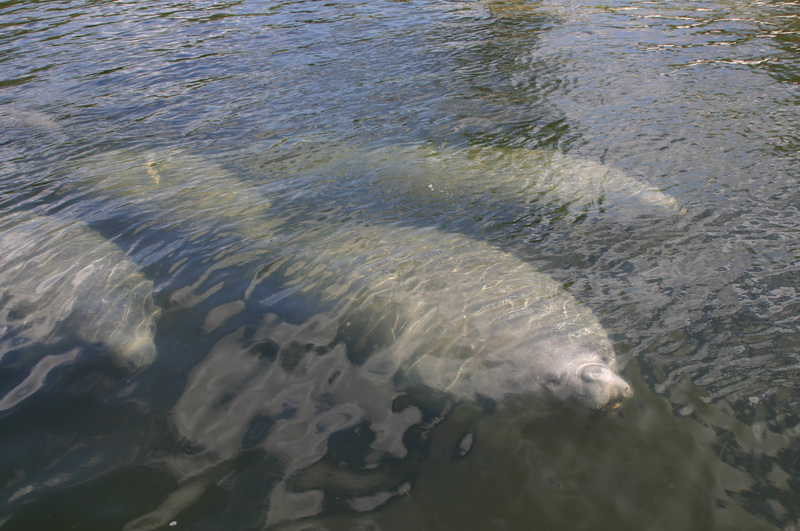 From April 1 through Nov. 15, seasonal manatee zones require boaters to slow down in certain areas to prevent manatees from being struck by motorboats or personal watercrafts. FWC law enforcement officers are on patrol in state waters to remind boaters of the seasonal manatee speed zones and take enforcement actions when appropriate. Wearing polarized sunglasses to help spot manatees. Looking for large circles on the water, also known as manatee footprints, indicating the presence of a manatee below. Looking for a snout sticking up out of the water. Following posted manatee zones while boating. Reporting an injured, distressed, sick or dead manatee to the FWC’s Wildlife Alert Hotline at 888-404-FWCC (3922) or dialing #FWC or *FWC on a cellphone. FWC biologists, managers and law enforcement staff work closely with partners to evaluate current data and identify necessary actions to protect this iconic animal. Florida has invested over $2 million annually for manatee conservation, and the FWC works toward continued success for manatees in our state.